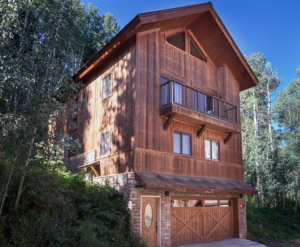 THIS IS THE LEAST EXPENSIVE HOME IN THE MOUNTAIN VILLAGE BY A LARGE MARGIN… With 4 bedrooms, very convenient ski access, HUGE 2 car over-sized garage and tons of storage, you will not find a better value. Completely remodeled in 2014 the home looks very nice & clean. The living, kitchen and dining area are located upstairs with an open and airy floor plan. Great home for locals, or second home owners. Current owners have been short term renting with great success. Offered fully and elegantly furnished.